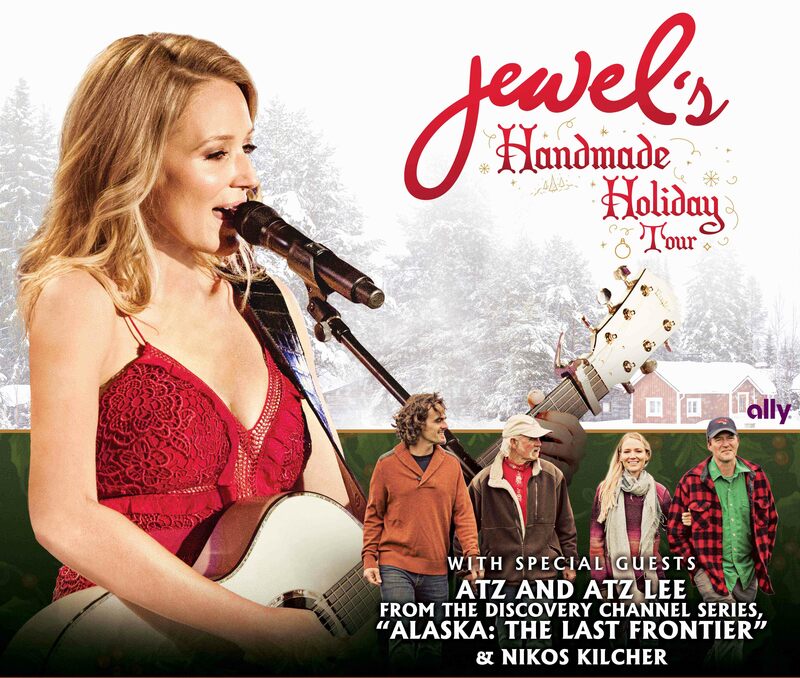 Ally proudly presents JEWEL’s Handmade Holiday Tour. Enjoy 20% off of select tickets when you use code ALLY18. This special offer is available now. Check local listings. While supplies last. VIP Package includes Backstage experience with Jewel and her family members Atz, Atz Lee and Nikos Kilcher from the Discovery Channel series Alaska: The Last Frontier; Exclusive VIP merchandise swag bag including autographed poster; Group Photo with Jewel and an Intimate Acoustic Performance by Jewel. Limited quantity available; VIP Package does not include a ticket to the show.